Home Staging Jacksonville, Orange Park, Fernandina, St. Augustine. 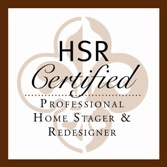 Expert, Certified Home Stager and Redesigner. 1st Stage Home Design home staging and preparation services is the first step in connecting buyers online to your home through fantastic photos and getting offers by helping them emotionally connect to your space. 1st Stage Home Design interior styling services connects your family to each space in your home, so that it’s organized, beautiful, stress-free and the perfect reflection of you!